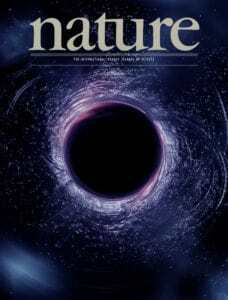 We recently published a paper in the journal Nature about an "An intermediate-mass black hole in the centre of the globular cluster 47 Tucanae". For the first time, we are effectively combining information obtained from N-body simulations, pulsar observations and use information theory to probe whether there is a black hole in centers of globular clusters. Come and listen to my talk at the upcoming "Detecting the Unexpected: Discovery in the Era of Astronomically Big Data" conference on "Pushing the Frontiers of Astronomical Discovery with Deep Learning" to be held in Baltimore, STScI, between 27 February-2 March 2017.
asymmetric error bars: the asymmetric nature of error bars are often ignored, and the errors are typically approximated with Gaussian models. Take a look at our paper on the "Neutron Star Mass Distribution". We developed a novel approach which is generically applicable for data with asymmetric error bars. For technical detail see the Appendix, subsection on Model Formulation. Don't ignore the value of information that may be 'hidden' in the errors! scikit-learn: a useful tool for machine learning in python. Particularly powerful for classification, regression, and model selection. aetros: an artificial platform for everyone. inFERENCe: posts on machine learning, statistics. Particularly recommended reading on Deep Learning and infoGANs. an interesting post by the MIT Technology review on the relation of deep learning and the universe based on article by Henry Lin (Harvard) and Max Tegmark (MIT). This might not convince the AI community and some astronomers (! ), but has a nice ring to it! Deep Learning Adversarial Examples – Clarifying Misconceptions. interactive tutorial on numerical optimization. online 3D data- tensorflow playgroud. online deep learning - tensorflow playgroud. compare Deep Learning Frameworks, by Nvidia. chainer: a Powerful, Flexible, and Intuitive Framework for Neural Network. PyTorch: Check this out if you are interested in dynamic neural networks with GPU acceleration. Andrej Karpathy's blog on "The Unreasonable Effectiveness of Recurrent Neural Networks". great blog on neural networks by cloah. make neural networks intuitive with TensorBoard. TFLearn: a wrapper optimized for Tensorflow that has the modularity of Keras. microsoft's machine learning cheat sheet. github repo for deep learning+ cheat sheets. a nice guide to deep learning. CapsNet and Capsule networks. What are they?